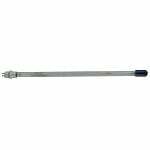 The FiltersFast FF-Y6605 is the compatible replacement for the Lennox Y6605- PureAir PCO3-16-16. 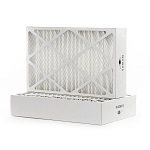 The Lennox X1152 MERV 10 Pleated Media Furnace Filter is the replacement filter cartridge for several Lennox, Trion Air Bear, other air cleaner systems requiring 20x25x5 furnace filters. The Lennox X8149 UV filter lamp works with your PureAir PCO-12C and PureAir PCO-20C filtration system. 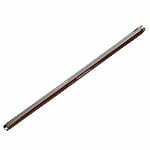 This uv filter bulb works with your filtration system and oxidizes comtaminants in the air through the use of light rays and no toxic chemicals. The Lennox Y6606 PCO3-14-16 Healthy Climate PureAir Air Purification System features a Precision Pleat MERV 16 filter that traps particles down to an amazing 0.01 micron. 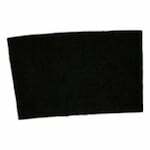 The Lennox X8309 MERV 10 Expandable Filter Replacement is a replacement expandable filter for the Lennox 16x25x5 model air cleaner. 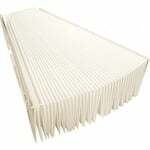 This pleated air filter measures approximately 16x25x5 and boasts a MERV 10 rating. 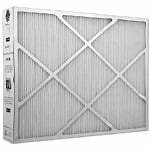 The FiltersFast Brand Trion 16x25x3 Air Bear MERV13 3-Pack Filter is a compatible version of the genuine Trion Air Bear Media AC Filter 16x25x3, 255649-101. 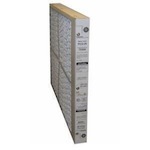 This Lennox X0581 MERV 10 Pleated Furnace Filter Media provides high efficiency filtration. 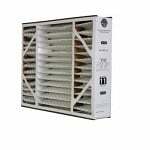 This Merv 10 furnace filter requires no assembly or combs. 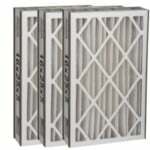 This Lennox X5424 MERV 16 Pleated Furnace Filter Media needs to be replaced every 12 months. 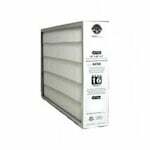 The Lennox MERV 16 Filter is a genuine Lennox Healthy Climate boxed media air cleaner. 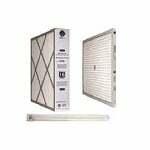 This Lennox X4138 HEPA 40/60 Carbon PreFilter is a part of the Lennox �Healthy Climate� line of indoor air quality products. 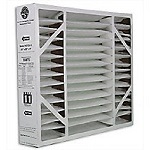 This Lennox HEPA 60 filter has an estimated life of 6 months. 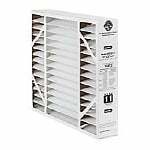 The Lennox X6669 is a pleated box filter for your Pureair air cleaner. 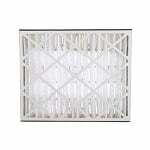 This air filter box measures 21x26x4 inches and is a pleated air filter. The Lennox x6669 furnace filter box can also be used to upgrade your older Pureair unit to a MERV 16. Special Order. Ships in 17 days. 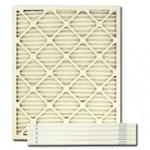 The Lennox X8312 MERV 16 furnace filter is an expandable filter for your furnace system. 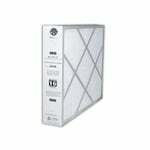 Also known as the HCXF16-16, this pleated air filter will protect both your family and HVAC system. 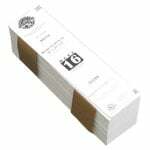 This MERV 16 rated filter will capture very small particles. 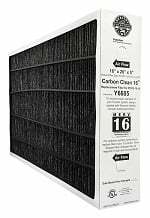 The Lennox X4137 HEPA 20 Carbon PreFilter Replacement is a replacement carbon pre-filter for the Lennox Healthy Climate HEPA 20 Filtration System. This carbon pre-filter is the first stage of the HEPA 20 filtration process. The Lennox 75X66 Metal Mesh Filter is the correct replacement for the following air cleaner: Lennox Pureair PCO-2OC The Lennox Pureair air cleaner is the only air cleaner made that destroys odors and VOC's, and has a MERV rating of MERV 16. The Lennox 98N42 is a MERV 8 furnace filter 4-pack for your home. 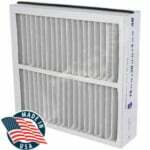 This furnace filter will protect your home from unhealthy contaminants and help keep your heating and cooling bill low.